Contemporary culture is too quick to dismiss sadness. We suppress it, chide it, and conceal it in ourselves. We get frustrated with it in others and often try simply to “fix” it. We have no place for sadness anymore. But Pixar does! In their latest film Inside Out not only is sadness the hero of the film, but the experience and expression of sorrow is depicted as utterly beautiful. Inside Out reminds us of the beauty of tears. The previews for this film didn’t seem all that compelling to me. It looked like another cute kids film from a company that has built its rep on cute kid films. The commercials highlighted some funny lines, and a creative concept, but beyond that I wasn’t overly concerned about the movie. Then I began to read the internet buzz following its release. Famous philosophers that I love were raving about it and film critics were calling it the best movie of the year. So, when my kids said they wanted to go see it I was anxious to see what all the hype was about. I wasn’t disappointed. The story revolves around four emotions inside the head of an 11-year-old girl, Riley. These five emotions (Joy, Sadness, Anger, Disgust, and Fear) help young Riley navigate life and attempt to give her a good one. But when her family up and moves from Minnesota to California, leaving behind all that was familiar and wonderful, Riley begins to experience real emotional challenges. Her mom urges her to put on a happy face so that her dad can adjust to his new work, but it’s difficult and strange for Riley. Meanwhile, inside her head, Sadness is becoming a problem for the other emotions. She begins to turn Riley’s normal joyful memories and present experiences into ones of sorrow and grief. When Joy and Sadness get separated from the main control room and lost down in long-term memories Riley begins to spiral out of control. Joy believes she has to get back to HQ in order to rescue Riley, but as it turns out Sadness is really the only one who can fix these problems. It comes as a shock not simply to Joy, but to us as the audience too. The move is funny, in fact it’s some of the best writing in a Pixar film that I’ve seen to date. But more than just fun, witty, and even hilarious the movie is emotional, designed more with adults in mind that little kids. I often found myself with tears running down my face during the film, and the conclusion of the movie is so emotionally overwhelming that I could literally hear people crying around me. But the emotions this movie represents and that the audience is expected to feel are not merely emotions of grief, but a sadness that leads to beauty and joy. That’s one of the more amazing features of this film, it prompts in the audience exactly what it applauds in the film: a sorrow that leads to joy. When Sadness returns to HQ only she can save Riley; even Joy recognizes this now. And so Sadness takes the controls of Riley’s mind and the girl begins to cry, breaks down to her parents and confesses how sorrowful she is. And it is in that moment that her parents wrap their arms around her and begin to cry with her. It’s one of the most beautiful moments in a kids film you will ever see. It’s tearful, emotional, and beautiful. And suddenly Riley’s experiences turn grief into a small moment of joy. It’s a mixed experience, to be sure, but it’s a true experience. What’s true for women is no less true for men. This is the world in which we live. Pixar creates a different world, a more honest world, and quite frankly a more beautiful world. Inside Out is a powerful reminder of the beauty, indeed the necessity, of tears. Dave, I initially approached the movie in much the same way – the kids were excited to see it so I took them out for what I thought would be some light-hearted entertainment. I left the movie feeling a bit unnerved. The story and the concept hit me in a way that I couldn’t quite articulate. I told my wife “That movie messed with my head!” It was as if I was given a window into my own head/ emotions and that was totally unexpected. 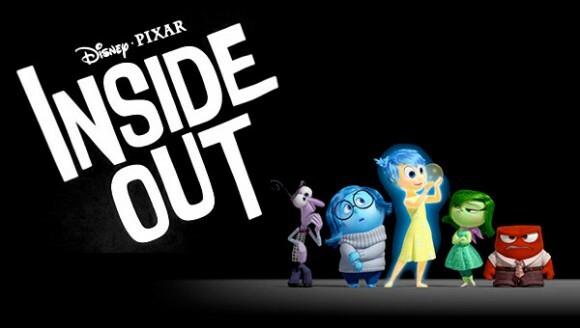 I always appreciate kids movies that engage the adults – Pixar took this concept to a whole new level.